The Division that launched in March 2016 is a far cry from the Division that exists today. Developer Massive Entertainment created a technically-adept squad-based cover shooter that never addressed the most major component of a live, persistent game: How do you keep people playing once they've seen everything there is to see? Ubisoft and Massive had DLC plans, but it was clear that add-ons weren't the answer. DLC would be nothing more than bandages covering a glaring flaw. 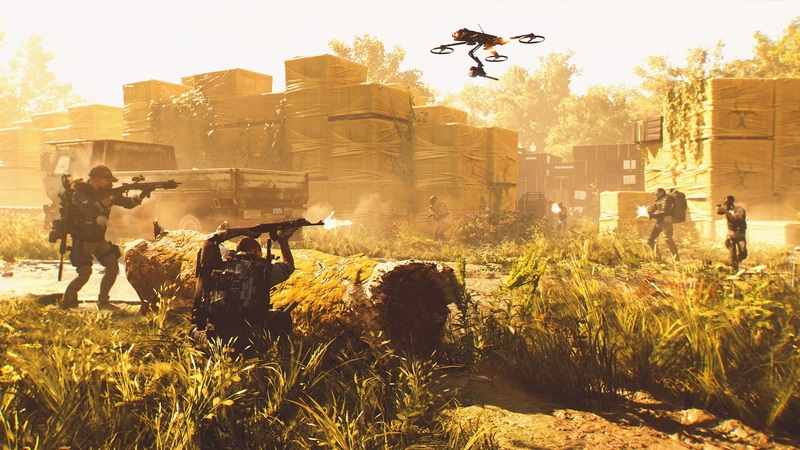 Destructoid talked with Division 2's creative director Julian Gerighty, and he wasted no time pinpointing the most critical and formative crossroads for the series. "Update 1.4," Gerighty says. "That was an incredibly important moment for us." Update 1.4, in Gerighty's words, is when "we stopped all production of the DLCs and focused on fixing and tying up our technical debt and proposing a real structure for the endgame, like tiers and the gear score." That's the most crucial lesson Massive learned about making a live game. "Agility of production to be able to change and pivot very fast when we have issues or requests. I think that's the most important aspect and the biggest thing we learned." We played The Division 2 for a long time, upward of six hours. The first three (or so) hours were spent in the opening sections, the parts immediately after the prologue. The latter half, however, was spent with endgame content. Although it was a different game and nearly three years prior, Update 1.4's presence was certainly felt. 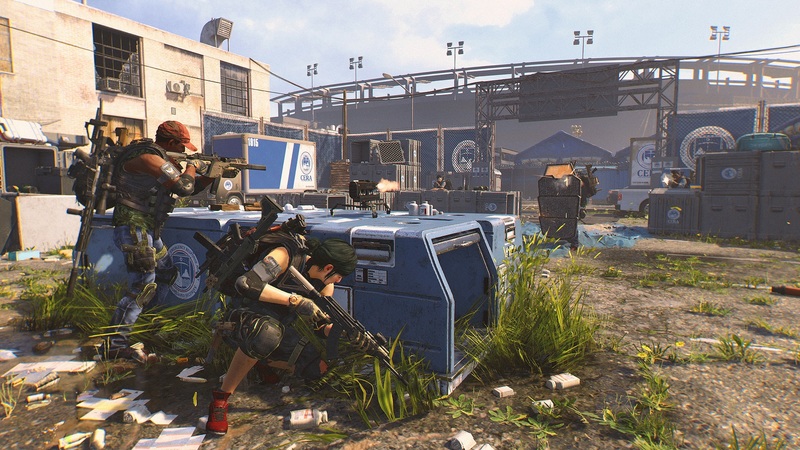 There are three factions in The Division 2, but one of them doesn't emerge until the main narrative missions have been cleared. This group, The Black Tusks, "changes all the rules," (as Ubisoft puts it). You have turrets, they have turrets. You have drones, they have drones. They have robot dogs, but you don't have robot dogs. The robopups are not friendly. There's a very real sense that a whole new game awaits dedicated Division 2 players who want more from their tactical team shooter. The Black Tusks invade the map in a way that seems like it repurposes old locations with new events. We played two endgame missions -- one in the Air and Space Museum and the other in a Cold War-era federal bunker. These Invaded Main Missions (the vernacular suggests they're more prominent challenges than some side content) pushed our group of four to its limits. We were randomly assigned specializations. There's the Survivalist who has a crossbow with explosive arrows (which we played as), the Sharpshooter who has a .50 caliber sniper rifle, and the Demolitionist who has a grenade launcher. At several points, our ragtag quartet was on the brink of total collapse. We were the opposite of a well-oiled machine, which is probably an un-oiled machine. We persevered, which was not the expected outcome. It got more unexpected as things moved along. 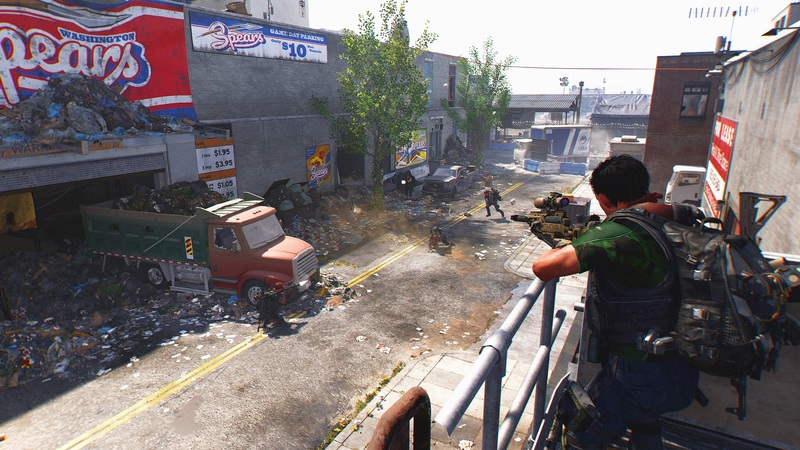 The Division 2 has a habit of flooding seemingly endless waves of enemies through monster-closet doors and from the ceiling. Any room can be functionally recycled by sending foes from a new direction, causing all the players to scurry in hopes of putting quick distance between the team and the threat. This works in interesting settings. We had firefights in a planetarium, a Mars Rover diorama, and a long tunnel lined with decorative light-up cubes. Those encounters were neat, tough, and memorable. We also duked it out in tiny, nondescript, industrial, cement-walled rooms. Facing (literally) upward of a dozen waves in those areas felt like a bit much. The combat core of The Division 2 is quite excellent, a revelation that was most noticeable in the early-going. Throughout the opening levels, the guns felt responsive and efficient. Shooting has an appropriate recoil and heft about it. There's a tactile sense about competent shooters where you feel a weight of sorts when a bullet lands squarely in a target. The Division 2 is capable of delivering that. It's diminished, however, in the endgame. Enemies are high-level and armed to the teeth. The Black Tusks have gear and abilities that rival the Agents'. It's perfectly commonplace to pump clip after clip after clip into a single attacker, just praying you make a dent in their armor. This is quite clearly an intentional design decision. It's how the original Division approached this too. But that snappy shooting isn't quite as obvious when it doesn't feel as effective. The Black Tusks refuse to be mowed down before absorbing a ton of lead. 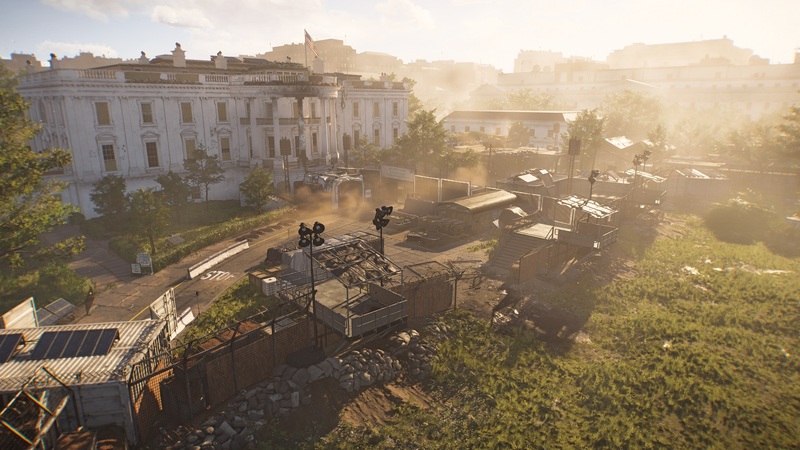 Still, The Division 2's endgame undoubtedly caters to a trove of content that players want to replay, all the while in pursuit of rare crafting materials and rarer drops. That's what live games have to offer nowadays, and The Division 2 has it. New to the sequel is an eight-player raid that hasn't really been aggressively detailed yet. To give an idea of what these raids entail, Ubisoft calls them "The toughest challenge you can possibly do," and "The shining jewel in the endgame suite of activities." Gerighty isn't ready to talk about raids either, but he gave us a brief overview from a designer's perspective. "It's a completely different approach. Level design for eight players in a cover-based shooter is incredibly different from four players. There's a specific team working on that piece of content to develop something that really makes sense in terms of all the coordination and synchronization that you have to have." Because The Division 2 places so much emphasis on the endgame content, it's not particularly surprising to find out it's bursting at the seams. It's releasing with everything that eventually got added to the first Division: Weekly Invasions, gear scores, difficulty levels for the various missions, PvP, player specializations, occupied Dark Zones, raids (although the first one will be added shortly after launch), and more. There doesn't seem to be a system from the original Division that isn't making its way to the sequel. This is a promising development because, by most accounts, The Division morphed into quite the decent live game. It just took a while. Ubisoft says it's committed to supporting The Division 2 for a full year without splintering the community. That means post-launch content is free for everyone. There are no additional paywalls acting as barriers to keep from people playing -- at least for 12 months. By not fracturing its users, Ubisoft will certainly see a more engaged and persistent community of players. The Division 2 feels full -- almost overwhelmingly so -- and we've really only seen a fraction of the content. This is an endgame that appears perfectly prepared to retain players. For as many similarities as The Division and The Division 2 share, they seem poised to launch in states that are diametrically opposed to one another. The original Division crafted a finely honed squad shooter that trailed off after the final mission was beat. 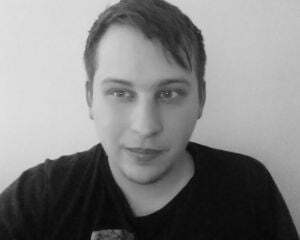 The Division 2 is an example of what a game will look like when its endgame is the primary focus of development. It's an exciting prospect for anyone who liked the roots of The Division but couldn't be asked to wait around for two years while Massive and Ubisoft figured out how to execute on its vision.